With President's Day coming up, we are getting ready for our big Famous Americans Unit. We teach Abraham Lincoln, George Washington, Benjamin Franklin, and George Washington Carver. With this coming up, I created a game for a fun review. 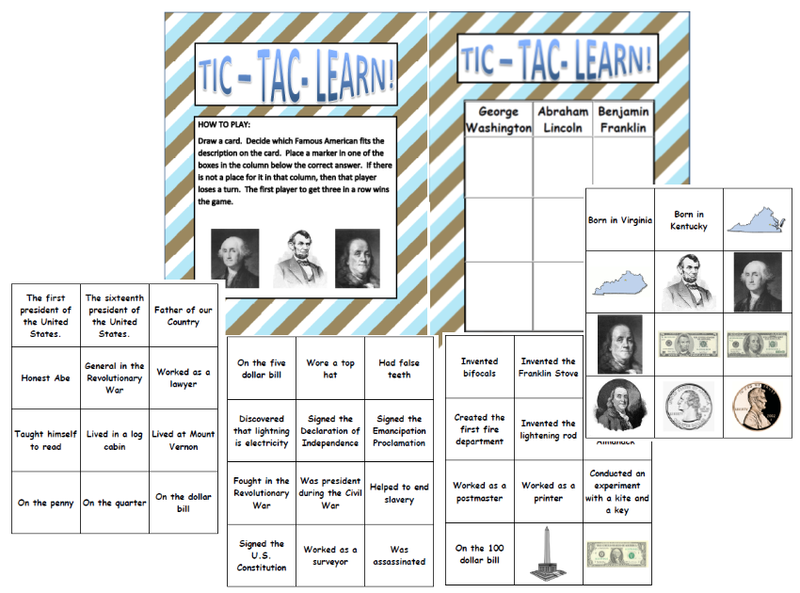 This is a Tic, Tac, Toe game in which the kids choose a card and decide which Famous American it is and place their piece in that column. The first kid with three in a row is the winner. You can get a copy of this game here!